This post originally appeared on one of my other blogs, iPadApps4School.com. 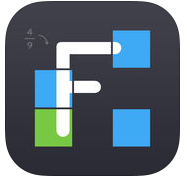 Fraction Mash is a free iPad app that provides a fun way for students to learn about fractions. The app lets students insert two pictures then divide those pictures into grids, columns, pie slices, triangles, or rows. Once their pictures have been divided students select the portions of one picture that they want to combine with the other picture. Students' selections of image portions must equal 1 when the two images are combined. 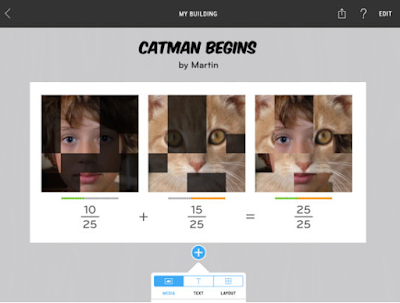 Fraction Mash lets students choose how many pieces each picture is divided into. Fraction Mash does offer advertise an online classroom space, but it wasn't working when I tried it. You'll probably do just as well to have your students share their work with you through Google Classroom or another LMS client that is installed on your students' iPads.